In Frugl’s case, this has been doubly true, as the Innovation Challenge has provided us not just with the opportunity to work with ScotRail/Cisco and Wittos but with a new revenue stream that we keen to exploit. Currently the Frugl widget is available on one train travelling from Glasgow-Edinburgh, where passengers can browse through a range of great daily deals based on their destination. We spent some time working on the design and we’re very pleased with the outcome and its efficiency. Working with Wittos, we are able to gather passenger data related to destination, passenger type (commuter or business traveller) and we are supporting Wittos’ analytics platform with further information related to passenger purchases and interests. The Frugl widget also enables ScotRail to monetize their WiFi portal, something that has been notoriously challenging for the industry as a whole and where we see our real value. Working with ScotRail and, in future, other rail operators, our aim is to be the go-to ecommerce solution not just for rail operators but also for anyone supplying public WiFi, whether that is a coffee shop, a gym or on a high street. We’re looking forward to the summer and the opportunity to work with the Edinburgh festival to deliver tickets on the train as well as expanding beyond with the extension of the Project SWIFT trials to multiple trains. It’s an exciting time for Frugl and for the rail passengers finally able to connect to the internet via superfast WiFi! The London underground transport system has been in focus recently for the use of wifi data from commuters. Over the last few years many companies have been looking at ways in which they can harness the immense opportunities that are presented by the masses plying the London Underground pass. A major issue that has been troubling most commuters is the fact that the TfL (Transport for London) has, in their perception, been misleading about the nature of collecting personal information from the different devices that use the under rail system of transport. This is an issue of understanding and trust - a trend that has been emerging elsewhere as Big Data comes into the main stream mind space. There's is a feeling that too much data is being utilised for taking advantage of the many opportunities presented in the digital world today. The fact the use of Wi-Fi data and analytics can be harnesses and used for many different purposes is the cause of confusion for the public. For example billboard advertising is one that is cited by the TfL. The potential benefits of advertising revenues for the TfL is perceived as reselling data, rather than being seen as public good since the TfL reinvests all their income into improvement programmes. As many more companies are looking at ways to leverage data, it becomes vitally important to connect and communicate the purposes in a way that's clear for the public to understand. What about Data analytics to directly serve the people? With the potential benefits in taking advantage of the information that is generated from the different devices across London and elsewhere in the world. How that's being communicated to the general public seems to be missing the mark. One issue that most of the population seems to be worried about is an understanding of how their information is being used for the right reasons. The point is, that if the the public doesn't see the direct benefit to them, they will struggle to connect with the indirect benefits. 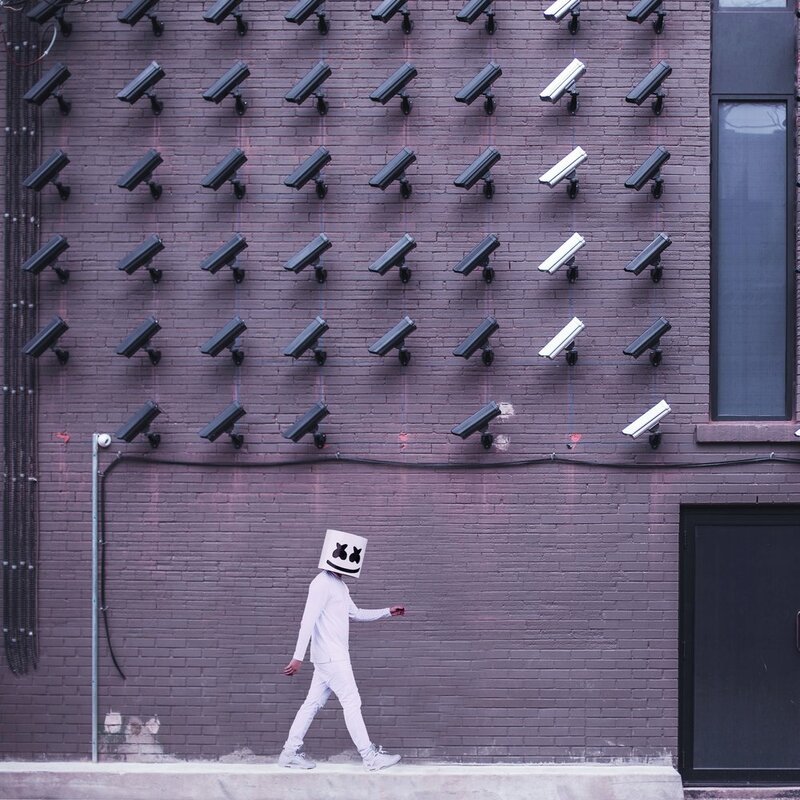 The privacy of individual data should be one of the major considerations of using big data. In the use of big data as the next frontier for generating leads and marketing opportunities. However, without the cooperation or at least feedback from the 'data subjects', or in other words the public of the into personal information for reasons other than those meant for the greater good. There have been a lot of talk concerning the issue and it is about time that all stakeholders and security apparatus came together to look at ways in which the way forward is mutually satisfying. The underground should be properly connected to serve the people. The connectivity and services companies need to extend that objective by putting people first when making use of the big data available. The GDPR will ensure that there is compliance in the different avenues in which it plays, not least, that there's better transparency, control and choice to the end user. Getting SME entrepreneurs together to discuss how to tackle ScotRail's challenges in destination marketing and disruption management during the Project SWIFT Innovation Challenge has been a rolling design thinking that's critical, honest and real. The entrepreneurs from Fire.ly, Frugl, CommuterHive and Purple RealTime aren't ordinary people. These are seasoned professionals, with a wide range of expertise and they're 'super users'. Although they have separate offerings and could have just focused on their own separate businesses, unlike the silos that exist in many large cooperations, these are folk who have decided to bridge different worlds. And through the innovation challenge they debated and envisioned new seamless and practical experiences for connected rail passengers. So what did they do with a starting point of ScotRail's new Cisco super-fast WiFi continuous train connectivity, access to journey and passenger data in real time with the ability to interact with passengers through a WiFi portal enabled by Wittos's Connected Intelligence platform? Firef.ly's inspiring story telling and Frugl's curation of the best deals bring personalisation to the journey-level. They help passengers to spot things while on their journey. Ever forgotten that email telling you about the new exhibition coming up next month in Glasgow? Or thought about book marking a restaurant offer when you were last searching for a dinner out? Well Firef.ly and Frugl uses journey context to surface this type of info at the right moment when you're onboard the train. So when coupled with great internet connection so you'll be able to shop on the spot! CommuterHive goes further to help you pre-book a shared taxi ride which you can do at the same moment or opt-in to be remembered so when you're on the train the services are in sync with your preferences and will list new rides headed in the same direction for the booking you made. This brings you convenience and savings to choose joining a ride or finding your own way to that exhibition or restaurant. So you've been consumed online during your train journey on a reliable internet connection, just as if you were at home on your couch. Perhaps you're headed home or to work or you might be visiting on a business or city trip. Whatever your journey purpose, My Train Tracker from Purple RealTime. By finding the right moment for you to set notifications and send alerts it'll become your trusted journey companion so you'll never miss a stop! These services are boosted by a basis of common real-time journey and passenger consented sharing of data and a great internet connect. But it's the new Smart WiFi portal that will give ScotRail an edge to improving seamless passenger experiences. It's the launch pad for passengers to engage in micro-services that make sense for their journey. Micro-services are in sync because they share the same common basis. It's the intelligence of surfacing the micro-services as much as the intelligence in the services themselves that unlocks new possibility for train operators to create more direct value for passengers. This goes beyond advertising and marketing. There are no lock-in like traditional walled garden WiFi portals. That means passenger engagement will define performance and the demand for improvement or switching over different services will be fact driven. It's a win-win for all, passengers get the freshest and most exciting services, new business models can be realised as train operators responsibly share their traveling customer with an ecosystem of ultralocal partners. Coming soon - our Project SWIFT innovators live on a ScotRail train. This week we will be spending our time onboard a virtual high speed train in order to find out how to make the most out of our travel time- up next we will be looking at a couple of technologies that are sure to turn your travel frown upside down. Praised be those who can sleep on trains, cars and planes; for we are not able to. Sincerely, 99% of travelers. Let’s face it folks, most of us are not able to sleep while standing upright in a chair. Arguably this can be a little upsetting to some, as there are few better feelings in known to man than waking up refreshed after a long train journey. Truth is, if you are anything like us, you will try substitute sleep for a little entertainment -as the thought of waking up with a neck cramp and numbed legs is not entirely appealing to you. Mobile AR is a fairly new concept that mobile developers have been working on for the past years, that involves interacting with the environment around you in unique ways -using your smart phone. Taking a step forward we have seen the release of several AR games (ARG) that transformed some of our favorite 2D games into intractable 3D ones. 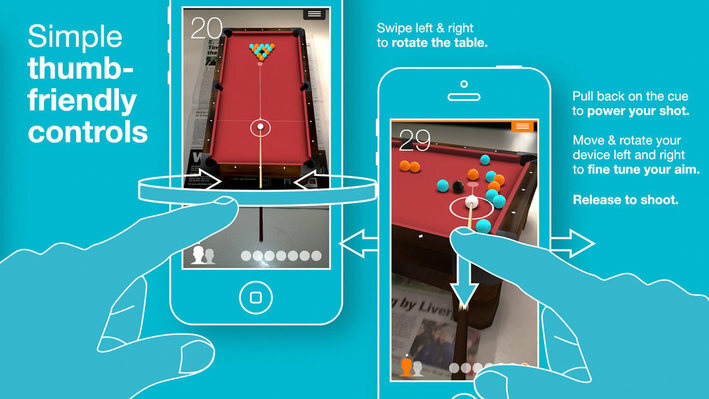 Take pool for example: instead of bringing a pool table along, you can now recreate and play with a virtual pool set on the table in front of you -just by using your smartphone. Pool is just one example as 3D ARG versions of: chess, cards, and pretty much anything you can think of, are being developed. Perhaps games are not for you and instead prefer to spend your time doing more serious things. We thought you might say that. What if you could order something online and have it delivered to your house by the time you get there? Arguably this is a realistic option with some products but in recent years companies like Amazon have been working around the clock to change the way we experience deliveries. Take for example Amazon’s Alexa- the intelligent personal assistant capable of voice interaction. Alexa is designed to perform tasks for you that include ordering online. Another example of a company pushing the boundaries of online user purchasing experience is the Swedish giant Ikea. Ikea has developed an AR app that let’s you preview how the furniture looks before you buy it. With thousand of models to check out you can virtually decorate your house (or train compartment) on the go. As this virtual train journey is reeling in towards it’s end, we would like to take this time to thank you for choosing to dedicate us your attention and urge you to come up with a few ideas of your own about “how to enjoyably spend time on a train”. Have you ever sat on a train trying to connect to the (inevitably) slow Wi-Fi and become increasingly infuriated at not being able to browse the internet, read your email or check out Facebook? If so, you’ll understand just how excited my business partner Tikiri and I were to have the opportunity to join the Cisco/ScotRail/Wittos Innovation Challenge and work out how Frugl could add value to a passenger’s journey if they were connected to superfast Wi-Fi. Working with all the major daily providers such as Groupon, Living Social, Travelzoo plus local Scottish deal sites like 5pm.co.uk, Frugl’s goal is to ultimately be able to provide passengers with personalized offers, while helping ScotRail and Wittos to better understand their passengers tastes and buying habits. At the same time, the challenge will also provide local businesses with a means of attracting the attention of commuters and holiday makers by hosting timely offers on Frugl’s self-service platform and only paying a small commission when an offer is sold. This is a great way for businesses that would not be able to afford to market to ScotRail’s passengers to gain the attention of a captive and, critically, targeted audience. We’re looking forward to the next 12 weeks on the programme and to working with Cisco and Wittos to enable ScotRail’s passengers to take advantage of all the great deals hosted on Frugl, saving them both time and money while on the go.